When Siri was announced with the iPhone 4S, it didn’t bring about a revolution in search activity on phones. Most still search by typing keywords into Safari or Chrome. However, gradually, Siri and mobile apps are changing search habits and creating new opportunities for search marketers. The Alchemy Viral crew gives us an infographic which helps cover everything about searching with Siri and mobile searching in general. There is one error, which Search Engine Land helps point out. The infographic says Siri draws from social services, but Siri can only help users post things to Twitter or Facebook. It can’t help them get information back from those social sites. With mobile searching poised to overtake desktop within two years, this infographic can be helpful to anyone interested in mobile searching. Oh, and the creator of the infographic isn’t bad with spelling. They are just British, hence “optimisation,” instead of the American spelling. Responsive Design – Which Approach Do You Use? There is more than one way to do responsive web design. The most prominent seems to be adaptive web design, which is more rigid and structured because the elements of the site only change when reaching different breakpoints. Just because bloggers and media specialists focus on adaptive web design doesn’t mean there isn’t another approach with merit. Both approaches have pros and cons, and both will help you more in certain instances. The adaptive approach is best when used on sites that frequently go through design changes. Adaptive design doesn’t have to think too far into the future because adaptive designs require regular updates to make them optimized for the latest technology. The approach uses breakpoints set with media queries as the only changing visual aspect. Usually, this results in about three different layouts, which provide a good experience on most platforms. The downside is along the outer edges of these breakpoints (for example if the range has a maximum of 620 px and the device used to access the content is 619 px) users will begin to have design issues. The upsides to adaptive design are you don’t have to test it at every conceivable width to ensure it renders properly, and it makes sure the majority of users will have a good experience. Unfortunately, if you aren’t using the most recent and popular devices, you are more likely to have a problem, and it requires periodic changes to keep up to date. The fluid approach responds to different viewing widths allowing the design to create a suitable layout on nearly every platform. The viewers are able to get a good experience that is catering to the dimensions of their device, but for the designer, the fluid approach requires a lot of time spent checking the site at different widths to see where the design breaks. The design doesn’t have a “true form”, but an ever-changing appearance molded to fit the needs of the viewer’s device. The ability to achieve this type of design comes from keeping all of the aspects of the site proportional. Everything is rendered based on the size the screen is viewed on. The best part of this type of design is fluid designs are practically timeless. It is impossible to really predict what will happen in the industry in a few months, let alone years, but fluid designs have the ability to still look aesthetically pleasing on all devices for much longer than adaptive designs. Both design approaches have their merits. Adaptive design is feasible to be able to make routine changes to stay current, and offers an almost universally pleasing experience with little testing. Fluid designs don’t require the regular updates of adaptive designs, but you will likely end up spending the same amount of time testing widths. No approach is ever perfect for everything, but these two should keep you covered in most situations. For more technical information about these two approaches, read Jamal Jackson’s article from 1stwebdesigner. https://www.tulsamarketingonline.com/wp-content/uploads/2018/07/TMO-Logo.png 0 0 TMO https://www.tulsamarketingonline.com/wp-content/uploads/2018/07/TMO-Logo.png TMO2012-10-31 08:45:022012-10-31 08:45:02Responsive Design - Which Approach Do You Use? A do-it-yourself attitude can be great for entrepreneurs It can save you money, as well as improving your abilities in a multitude of areas. However, it can hurt you in the area of marketing. John Follis from Small Biz Trends offers some reasons why. 1) You Don’t Know What You Need To Learn – Anyone can read a book or two about marketing practices, but they won’t do you much good compared to those working with qualified teams or consultants. The field of marketing is massive and unless you are qualified, trying to do-it-yourself can hurt you. 3) The Best Marketing Doesn’t Come Pre-Made – Every marketing guru tries to push a “sure-fire” system. They all make great sounding claims, and promise unbelievable results. They also ignore the main principle of marketing. Every business is different, and a pre-made system for marketing any business is guaranteed not to be the most effective method. Remember, the ones making money from these systems are the people selling them. 4) Great Marketing Requires Talent – Quality marketing comes from a combination of business expertise and creativity. Many forget the creative side of marketing, and focus on their knowledge of the business, but this leaves them at a disadvantage. Forgetting the creative side of marketing leaves you unable to connect with the audience in a meaningful way. 5) DIY Marketing Won’t Save You Money – This seems backwards doesn’t it? Hiring someone else should obviously cost you more than doing it yourself right? Wrong. You are only thinking about what you are spending, not what you’re getting back from spending. A good marketing campaign will make the money you spent back, plus some. The companies associated with great marketing have been doing it from the very start. Apple became known for their iconic marketing at the same time they were rising as a company. Having someone skilled handling marketing also allows you to invest your time on areas where you will be able to make meaningful improvements to your company. Doing everything yourself is tempting, but anyone that hopes to succeed using that idea has to know their strengths and weaknesses. Otherwise, you’ll just end up making things worse for yourself. There are certainly times when you have too many options. Specifically, I’m talking about you AdWords campaigns. Making the right choices could potentially mean netting thousands of additional users. Thanks to split-testing, you can be more certain that you’re running the most effective campaign possible. Split-testing is simple enough. Essentially, you run the campaign as is, and you also run it with one elemental change. Both ads are randomly displayed to users and eventually, over thousands of views, you discover which is more effective. You change in your campaign can be a variety of things. Maybe the two ads being split-tested are drastically different in color, text or another way. Or, the ads could direct users to different landing pages. To achieve your split-test, you’ll need to set AdWords to rotate your ads evenly. This may not be as effective as the ‘optimize for clicks’ option that AdWords suggests, but for the sake of testing it’s the only way to get real results. Alistair Dent details the split-testing strategy at Search Engine Watch. Essentially, you should set aside one campaign strictly for split-testing, which allows your other campaigns to capitalize on what is already working. Copy the campaign you wish to improve into the split-test campaign, then turn it off in the main campaign. Remember, it will take time and thousands of users to minimize potential variables, so don’t rush through the testing phase. If you are patient, you’ll get a clear answer on how to tweak your campaign. Andre Weyher worked on Google’s Search Quality/Webspam team for two years, according to his LinkedIn profile. Recently, he spoke with James Norquay, a digital/search marketer from Australia, offering insight that possibly could help search marketers and web marketers understand Google’s SEO strategies. Since Matt McGee published his initial report on Weyher’s comments on Search Engine Land, Google has released a short statement denying Weyher worked on webspam engineering or algorithms, but Weyher stands by his statements. According to Weyher, everyone on the search quality team covers a specific “market” and his was content quality and backlink profiles. He emphasizes the shift to anchor text ratios, which has been a frequent piece of SEO advice following the Penguin update. His statement could confirm Google’s perspective on anchor text ratios. The full version of AdWords has included the ability to track phone calls generated from ads for two years. TechCrunch’s Frederic Lardinois reports that, beginning last week, AdWords Express, a simplified version for small businesses, included that option as well. Call reporting is similar to reporting on clicks your ad generates. For every consumer that uses your ad to contact you, Google tracks and stores that information so you can see how effective the complete performance of your ad has been. Google actually routes these calls through their own toll-free number, using Google Voice technology, and then forwards them on to your business. This way, they can track the calls and charge your AdWords account the same way they do for each click. Google has hinted that they will accept bids for higher cost-per-call ads, which would get those ads higher placement, but that option has not yet been made a reality. Majestic SEO are now updating their linkage data to be as recent as within hours or minutes. Majestic SEO is an advanced SEO third party reporting service, and in the the past you had to wait up to 24 hours for link reports to update. Now, Barry Schwartz from Search Engine Land reports Majestic is pushing updates out nearly hourly, allowing webmasters to see new links to their content more quickly. This service is only available on the main site explorer reporting engine, but they hope to get it to the API and other reports soon. Sometimes it is clear when you need a redesign. For example, if your site is still using Flash, it isn’t viewable on many smartphones, and you definitely should consider redesigning. Other times, it can be less clear. Sometimes even bad designs are meeting the needs of your client, so it can be hard to give a good reason why they need a design. Why pay money to improve something that is working at the time? Usually the reason most designers cite for needing a redesign is to make their site “look better.” This isn’t really a viable reason for clients however. Kendra Gaines, writer for Webdesigner Depot, has a different argument for redesigns that your clients will love. Redesigns aren’t only a way to offer clients the latest design trends or “make things look better.” Redesigns can be a way to entirely revitalize a brand or business. A redesign can be enough to breath new life into a business or brand that might be stagnating. Gaines uses examples from business such as Keds, who subtly redesigned their product line to re-invigorate their popularity, but doesn’t tend to connect the ideas to web redesigns. This is interesting because Webdesigner Depot just did a massive redesign of their webpage. The website redesigned to a responsive web layout allowing their content to be available on all platforms, but it also helped refine their image. The site seems more efficiently laid out, and they have made social media buttons readily available at all times. This redesign acts as the perfect example of what you should be thinking when trying to redesign for a client. The site was brought up to date with the current design standards, as well as adding usability features that are great for users, but they also used the opportunity to help refine their brand as a whole. When you are preparing to do a redesign for any brand, try to remember these ideas. If you are just trying to add the newest trendy features to a site, all your work will be undone when the next wave of features hits the industry. If you subtly try to help the brand define itself, your work will be making a lasting impact on the company in a positive way. https://www.tulsamarketingonline.com/wp-content/uploads/2018/07/TMO-Logo.png 0 0 TMO https://www.tulsamarketingonline.com/wp-content/uploads/2018/07/TMO-Logo.png TMO2012-10-26 08:45:032012-10-26 08:45:03Why Are You Redesigning? 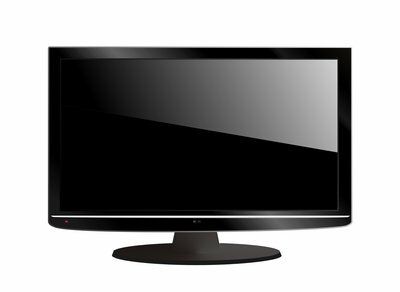 Imagine seeing AdWords style ads displayed on your TV during your favorite show. The idea isn’t as far away as you might think. A startup called The Compass Group LLC is working on a way for advertisers to create text overlay ads, which could appear any time on any participating station. This would lower the cost of television advertising and allow small businesses to put their ads in places they never could’ve afforded. Essentially, TV stations would allocate space on the screen and times when ads could be placed, much like a website allocating space for ads, which are then filled by AdWords. Users would then be able to creat their specific ad and choose when they’d like to run it. This streamlines the process, making it almost entirely user-generated and automated. The one possible hang-up that has yet to be adderessed is whether or not the public, which is not used to seeing this type of advertising on TV, will respond to the ads. In general, more advertising on TV is usually met with some hositility. Advertisement Journal has more on The Compass Group LLC. As we all know, the way to become popular on the internet is to create high quality content that engages your audience. It is obvious when looking at the digital landscape, and even more clear if you ever get to have a conversation with any of the people working for the sites gaining popularity right now. Content strategies are always the most important issue to them for growth. The issue with content marketing is it can be a little intimidating if you are just getting started. The good news is everyone can do it, you just have to start small. First, you should probably redefine what you think of as content and what you think of as your product. When trying to create a high quality product for your company to buy, it seems difficult to justify spending much time creating blog posts, but what you need to know is blog posts, webinars, and ebooks are your products as much as whatever you are selling. Every aspect of your brand or your company that your customers experience is your product, and your content is often the first chance customers get to see your product. That makes it a bit easier to rationalize putting effort into your blog posts. That doesn’t make the feats any less daunting though. Your company doesn’t have to start big with content marketing, however. Ray Grieselhuber, CEO of Ginzametrics, suggests starting with something small like an email marketing strategy, which allows you to send your audience more information about your products, as well as telling them how they can achieve what they want through your product. Just keeping in touch with your audience frequently with small bits of content is a good start. From there, you can begin building a blog, offering larger portions of content, then maybe begin creating a webinar. Start with what you can handle, and build larger. You don’t have to leap into the deep end immediately. The most important part is, of course, not to procrastinate. Just start making things to connect with your audience. Overthinking it will just make it seem harder than it actually is.